Two pioneers in the Myrtle Beach golf industry will be enshrined in to the Myrtle Beach Golf hall of Fame on August 25. The ceremony will begin at 7:30 pm in the Hall of Fame Garden behind the clubhouse at Pine Lakes Country Club. The hall was founded with six members in 2009. This year’s inductees are Charlie Benton, who constructed the first golf course in Myrtle Beach, and Ed Jerdon, who built six other courses in the Myrtle Beach area. Jerdon, 84, of Myrtle Beach will be present for his induction, while Benton, who passed away in 1980, will be represented by several family members including grandsons Carson and Lawton, who will accept the honor. Jerdon partnered with fellow Hall of Fame member Charlie Byers on all six of the courses they paid to have built, and the duo brought investors into each project. “I’m pleased and surprised and it’s quite an honor, particularly when I look at those folks that have been inducted,” Jerdon said. “It’s a good crowd to be associated with. It wasn’t really in my mind but I hoped at some point I’d be considered. Jerdon is a native of Collingswood, N.J., and after two years in the Army he moved to Myrtle Beach in December 1954, just a couple months after Hurricane hazel partially destroyed the area. With partners, he built Sea Gull Golf Club in Pawleys Island for an opening in 1966 as one of the first 18-hole course on the Strand. He then partnered with others to open Quail Creek Golf Club (now the Hackler Course at Coastal Carolina) in Conway in 1968. Both Sea Gull and Quail Creek were on the outskirts of the beach’s tourist areas. 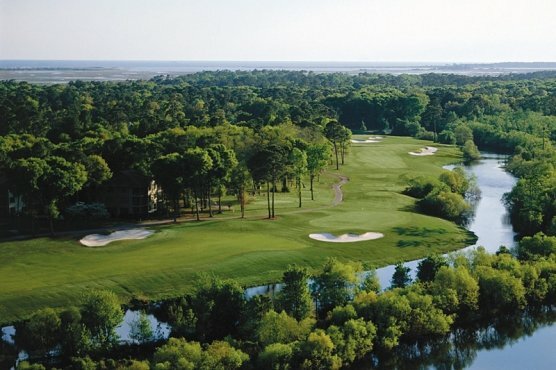 Jerdon and partners went on to build two courses at burning ridge in Conway in 1980 and ’86, Indian wells Golf Club in Garden City in 1984, and the International Club of Myrtle Beach in Murrells Inlet in 2000. 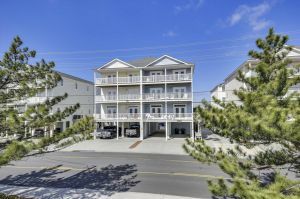 Jerdon later became a partner in Black Bear Golf Club, and he and Byers also rebuilt Sea Gull into the Founders Club at Pawleys Island, which opened in 2008. Jerdon was a founding partner in 2001 of the Classic Golf Group management company, which operates four courses that he partially owns. Casper Leon Benton—founder of C.L. Benton & Sons Inc. construction with sons Jimmy and Leon—not only constructed Pine Lakes Country Club, which opened in 1927 as Ocean Forest Club, he also served as the course’s first greens superintendent and as an unofficial hunting guide to golfers and other guests staying at the Ocean Forest Hotel. Benton moved to Myrtle Beach from North Carolina near the turn of the 20th century. He was in the logging business and had a team of 40 mules that he used to build the layout after he was hired by course owner and designer Robert White. White sent Benton, who didn’t play golf, to New York to learn how to construct a course. The original Ocean Forest Club stretched from where the clubhouse is today to 38th Avenue North. The course lakes were dug using mules pulling large cans that excavated holes. Benton later assisted with the construction of the area’s second 18-hole course, The Dunes Club, which opened in 1948, and helped build a lot of things that now constitute Myrtle Beach, including the Intracoastal Waterway and U.S. 17. “Building the golf course was one thing, but he helped to put Myrtle Beach on the map,” Carson Benton said. Benton’s son, Jimmy, constructed Myrtlewood golf Club and Carson and Lawton have built many course on the Strand. “Golf has been part of our family for a long time,” Carson Benton said.